A pair of London entrepreneurs describe their work to restore the hallway of the Century Theatre on Dundas Street to its original glory. 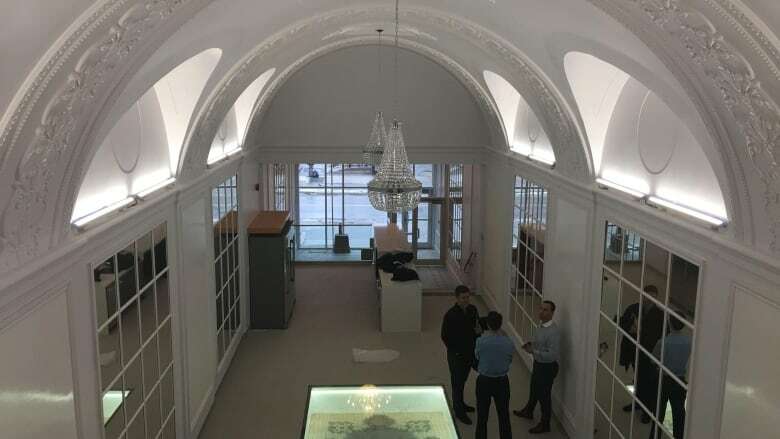 It took 10 years and almost $4-million, but the former hallway of London's long-gone Century Theatre has been painstakingly restored, complete with chandeliers and plaster ceilings, and is now home to a technology firm. 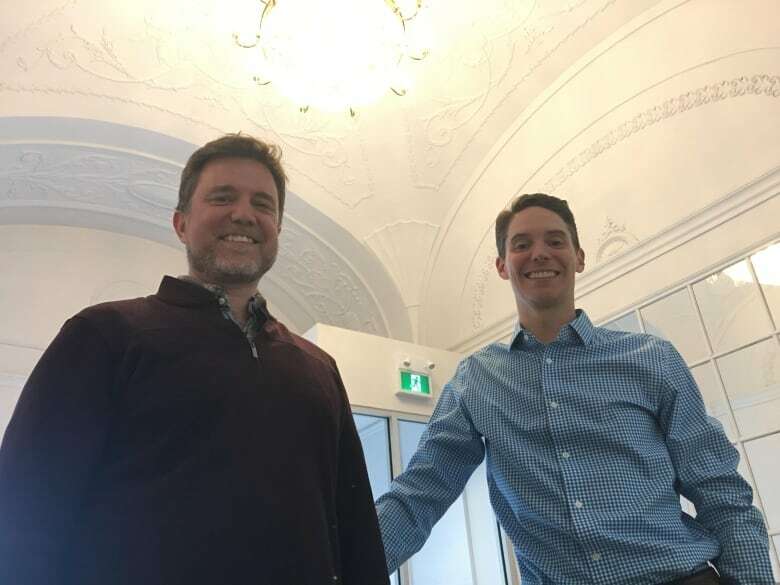 The restoration began back in 2010 when David Brebner and Paul Dugsin, partners in Magnus Asset management, bought the building with frontage at 192 and 194 Dundas Street. The space is a long, tall hallway where theatre patrons would enter at Dundas and walk to the theatre, which sat on what is now a parking lot on Queens Avenue. The theatre was demolished in the early 1990s. The space features eight-metre tall arched ceilings with decorative plaster accents and chandeliers. But, by the time Brebner and Dugsin bought the building, it was a derelict mess. "There had been a number of bars and restaurants in the space, but the capital improvements over the years were limited," said Brebner. Water had penetrated the walls and weakened the ceiling. To make it safe, everything was torn back to the brick walls. But the pair wanted to rebuild, and not destroy, what made the building special. 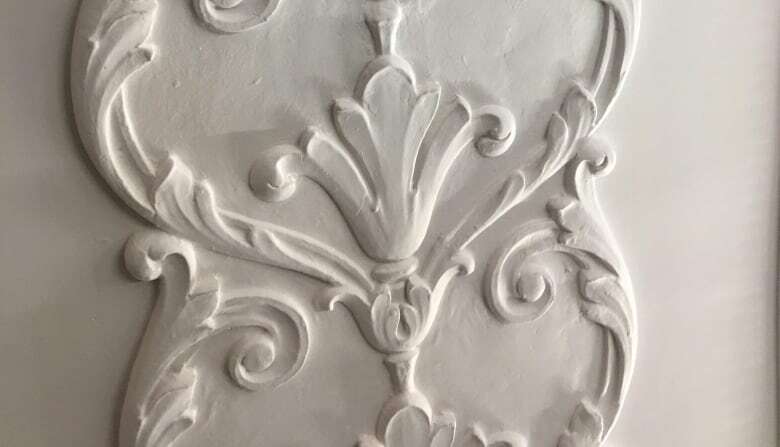 They are particularly proud of the work to restore the ceiling's decorative plaster flower accents. The work was done by Puglia Plaster Mouldings of London. In some cases, they made mouldings of the original accents to create the new ones. "We can't say enough about their work," said Dugsin. "It was all done in a very similar manner to how they would have done it in the first place." Over its long run from the main entrance to the theatre, the original floor rose almost two metres in elevation. That kind of slope wouldn't work for a modern tenant, but they wanted to keep some of the original floors, which features an intricate tile mosaic. The solution was a new floor above the old one with a "peek through" window covered in what Brebner calls "CN Tower" glass. 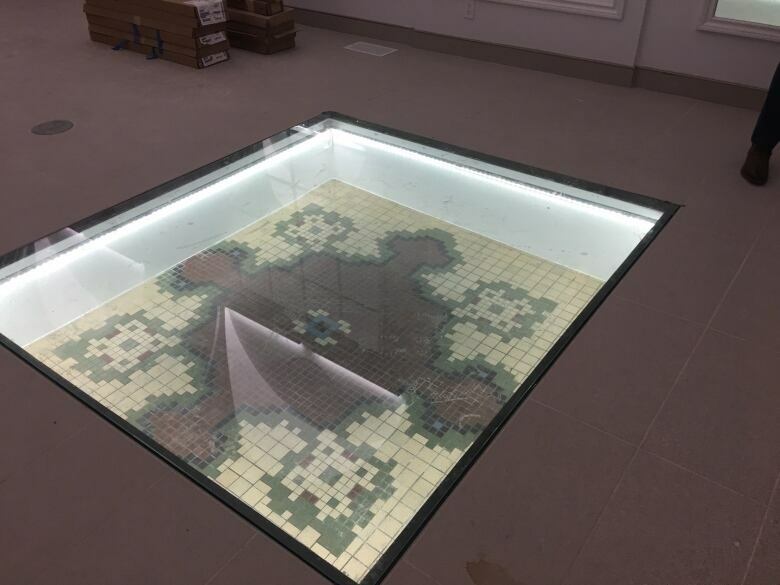 Visitors can stand on the glass and gaze down to the original tile floor. The tile was also retained near the building's entrance. And while the building features the accents of old, its tenant is the kind of tech enterprise London is keen to attract to fill the void left by the decline of manufacturing. Mobials Inc. is a software developer with 37 employees. It that creates digital retailing tools for car dealers. And now that Dugsin and Brebner have survived the renovation, the pair will have to endure more jackhammers as the Dundas Place project moves to their section of the street come this spring. But instead of being worried about the disruption, the pair are looking forward to watching the street's continued transformation. "I think Dundas Place is a wonderful thing for the city," said Dugsin. "It will connect the retail environment here with the river. It will be a wonderful rejuvenation of something beautiful." The pair are both bullish on the future of the downtown core. "We see all sorts of tech companies moving in," said Dugsin. "This building is a physical fusion of the past and future of the city. We hope that other people will invest in the downtown."